The family theme runs through Rivenrock Mountain Bike Park, near Mt Holdsworth, with tracks graded to suit different levels of ability to attract young and old. “We get parents, children coming out,” Hind said. “Playing as a family, laughing as a family and getting on with life. “When he is well, his escape was a pushbike and, when he was housebound, he was looking at YouTube bike park trails, so all the ideas and the concept and everything has basically come from that. “We purchased the farm next door around about eight years ago and we made a few tracks for my son and his cousin. “They invited a few people out and they thought it was quite good – had a bit of a ride around. “We thought long and hard and the end result was we purchased the adjoining farm and we have been here for the last three years. “We didn’t appreciate just how much growth there was in this hobby/sport/industry for want of a better word. So once word got out what we were aiming to achieve, there was a lot of pressure at the gate. “People spoke out about what they liked, what they wanted to see and what they didn’t like. 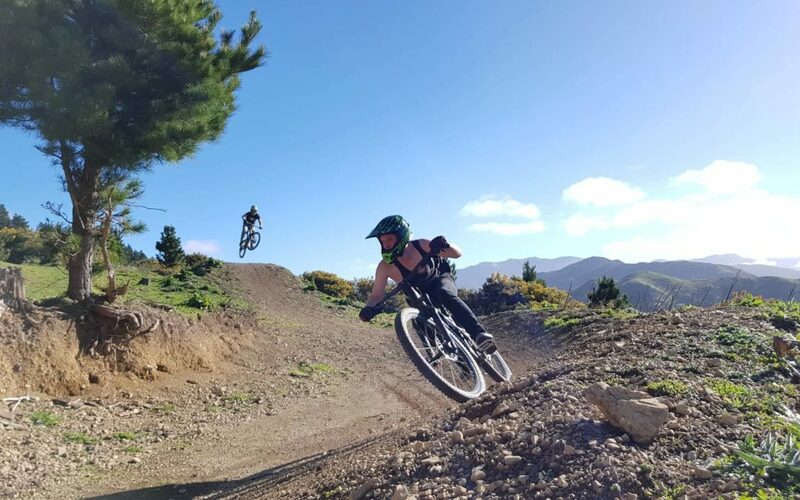 Other mountain bike parks have also lent expertise, helping expand New Zealand’s reputation as a centre for mountain bikers from all over the world. The 21km of tracks was expected to double in two to three years. “The feeling is that it’s a good thing to do, it’s the right time to do it, Hind said. Hind said the project had a genuine community focus, not just in the way businesses have supported its construction but in the way it is giving back. He said visits by schools groups had taken off – “and they’re staying at the DoC [Department of Conservation] campsite down the road – so they’re getting that experience as well”. Hind said Rivenrock “needs to pay its way a little bit” but “we are people-driven”. And that extends to the community.